Featuring opening bands every night! Open Eye's Platform Series showcases new work by artists in performance, puppetry, and object theatre. Set in an imagined future where self-control is the single most important quality in human development, Trial Child, a robotic replica of a couple's would-be child, is the newest technology. Through the use of an extended audio track, Wagner activates viewer imagination by weaving characters between the physical and the imaginary. Trial Child humorously addresses issues surrounding the cyborg identity and our growing personification of robotics in relation to gender, identity, technological absurdity and family politics. Scotty Wagner and Bailey Hikawa are a collaborative duo from Los Angeles who focus on experimental forms of storytelling in theatrical, physical installation and moving image forms. Their projects address social, cultural and animal/physical norms that are illuminated and challenged by new technologies. They explore ways in which pleasure indulgence and self-control are confronted by technologies that target core human senses and how shifts in family politics are brought about by new parent/child dynamics through the evolving human/cyborg identity. 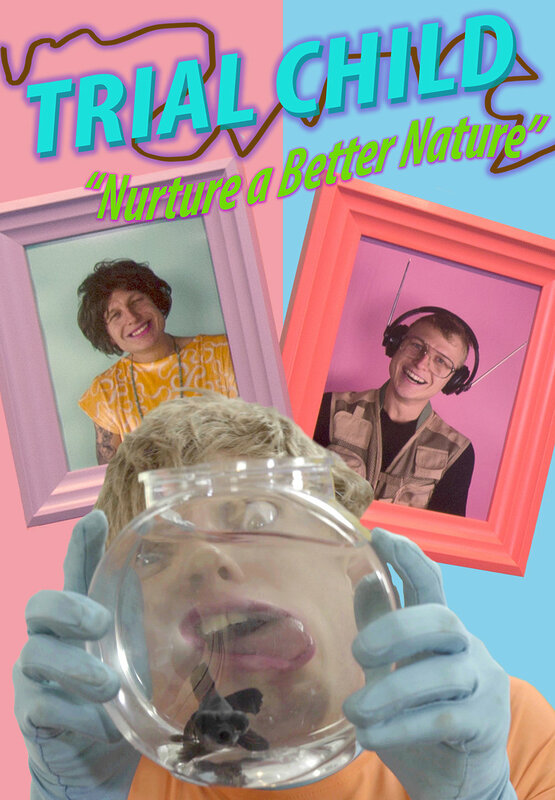 Trial Child: Nurture a Better Nature is their most recent visually delicious cultural commentary. Run time: 90 min. with 15 min. intermission. Recommended for ages 13 and up. There is some mild sexual innuendo and profanity. Otherwise it’s kid friendly and kids love it.